Night sky over the Atlantic ocean. Sirius, the brightest star in Earth's night sky, can be seen (upper right). 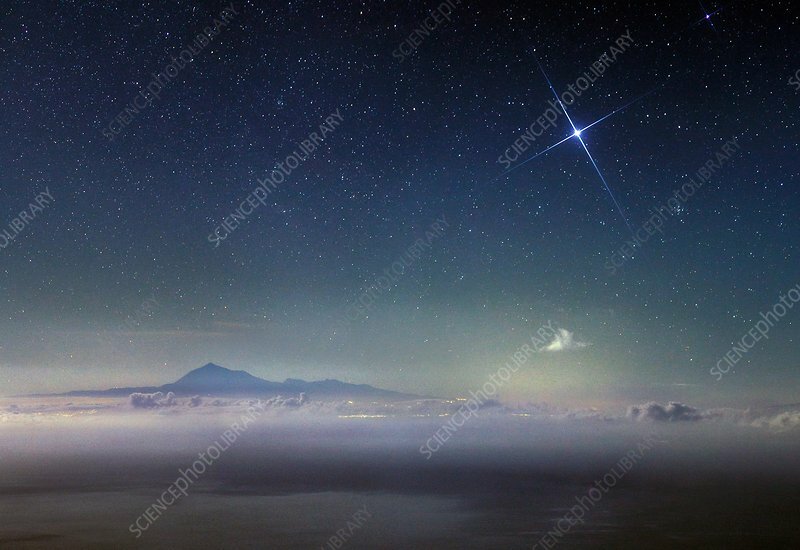 Mount Teide, a large volcano that forms the island of Tenerife, is emerging above the clouds. Photographed in La Palma, Canary Islands.